​Come relax in an environment with a cascading waterfall, river and a beautiful swim hole we've named "Corazón del Rio" (Heart of the River). Here you can enjoy Costa Rica's "Pura Vida" (Pure Life). 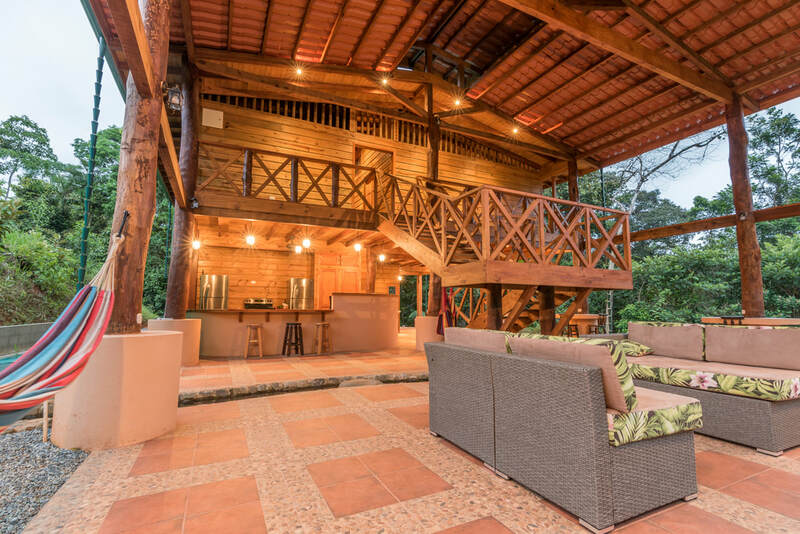 ​Corazón del Rio is located in the Southern Pacific Region of Costa Rica in the town of Platanillo, approximately 1200 feet or 365 meters above sea level, where you can experience a dramatically different climate with quite cooler temperatures. For example, air conditioners are not needed and on most nights a ceiling fan and a blanket are used only for comfort. Just a 15-minute drive down the paved scenic mountain road is the surf town of Dominical, and just up the coast is the beautiful long and white sand beach of Matapalo. The location is surrounded by many waterfalls and near by is Hacienda Baru which offers nature hikes and zip-lining. Biological Reserve with many mountains, rivers and waterfalls. Just a one minute walk from our casa, you can enjoy our cascading waterfall and swim hole. A private hike from our door to four beautiful waterfalls can be arranged with our neighbor and co-host Esteban (this is highly recommended). wading pool was a big addition to the feel and Pura Vida spirit we wanted for our guest to enjoy. Please click on links below and join us!